There are nine known Civil War era photographs of black men in Confederate uniforms and we only know the stories behind four of them. All were servants of their owners, serving on the front lines, not soldiers themselves. 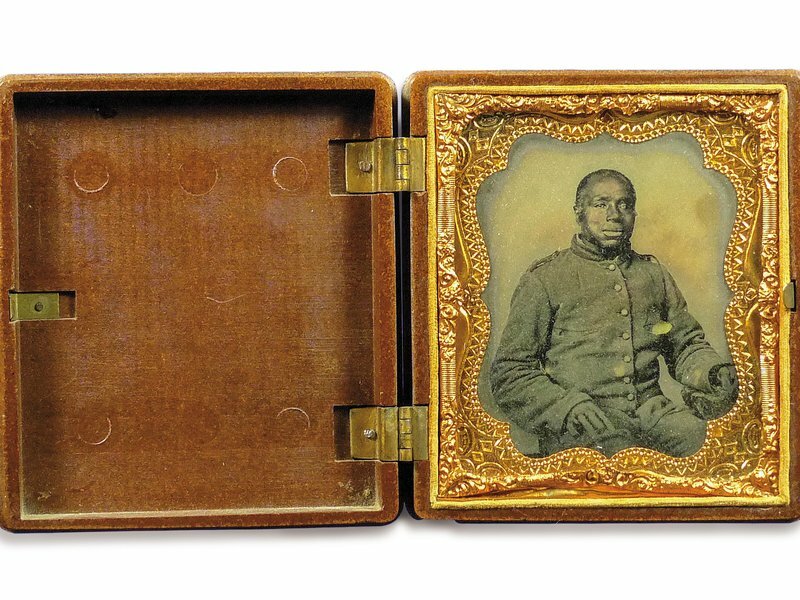 This was also the case of Robert Webster, whose owner was serving in Virginia at the time this photograph was taken. Webster’s story, however, doesn’t begin or end there. Robert Webster, his mother, and siblings were owned by John Gadsby, the owner of the famed National Hotel. Gadsby gave Robert Webster to his son, who promptly lost him in a poker game. Webster was then auctioned off and found himself at Rosemont Plantation outside of Greenville, SC. It was there that he first met Benjamin Yancey, Jr. Yancey often did legal work for the owners of Rosemont and quickly noticed Webster and his talents. He found him to be intelligent and capable, and an excellent barber. Webster eventually convinced Yancey to purchase him and his wife from Rosemont, even though Yancey, a wealthy land and slave owner himself, did not need them. It was agreed that Yancey would buy the couple on the condition that Webster give up card playing and gambling. Not long after, Yancey was sent on a mission to Argentina and left Webster in Atlanta in “practical freedom.” He managed two barber shops, seven barbers, but began making his real money running card tables and loaning money. Webster’s fortune grew steadily and he was able to purchase a house, although because he was still technically a slave, the deed was left in Yancey’s name. When wartime came, Yancey returned and served in the Confederate Army somewhere in Northern Virginia. He took Webster with him, which is when the photograph was taken. Concerned for his plantations in Alabama and Georgia, he sent his wife and children home to Georgia with Webster, who was to run the plantations in his stead. As the war dragged on, Webster was able to use his fortune and connections. He speculated in gold, currency, and goods. While his white neighbors grew poorer, he grew richer. Despite his loyalty to the Yancey family, his true ties and allegiance was to the Union. He took every opportunity to support the Union cause in Atlanta, even hiding two escaped Union soldiers in his attic. After the battles raged around Atlanta and the wounded soldiers were left in the city center, Webster defied his neighbors and began to assistance to the dying men. He offered them water, bandaged wounds, and organized dozens of volunteers to help carry men to open hospital beds. He is credited with saving hundreds of lives with his actions. When it came time for the city to surrender to Sherman and his 100,000 troops, Webster was one of the nine men chosen to represent the city under the white flag. 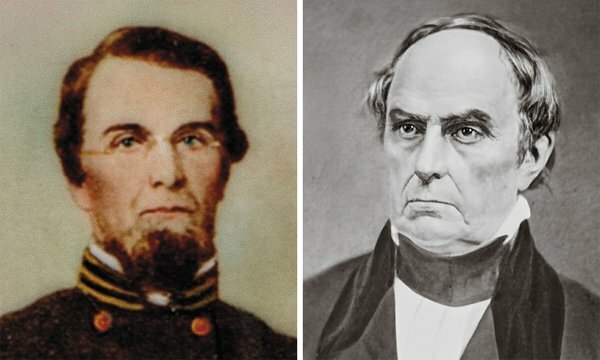 At the end of the war, Webster had managed to hold onto a large part of his fortune, while Yancey was left with four horses and acres of burned-out land. Yancey wrote to his former slave, requesting a loan of $150. Webster responded with $100 in gold, $100 in silver and an offer of more. In the post-war years, Webster continued to be wealthy and successful, became active in politics and was a well-known figure state-wide. Yancey was able to rebuild and recover and settled in Athens, GA. Eventually, Webster’s empire began to crumble, a result of increasingly restrictive Jim Crow laws and his own destructive drinking habits. Yancey provided a home for Webster and his family until the end. The photograph of Robert Webster has been carefully passed down through five generations of Yancey’s and his is fondly thought of as part of the family. For more, see the Marc Wortman’s article on the Smithsonian site.